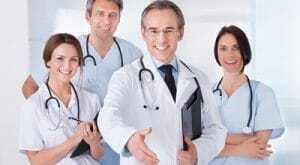 Home / Physician Assistant / How Long Does it Take to Be a Physician Assistant? 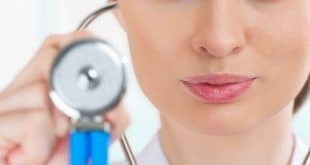 How Long Does it Take to Be a Physician Assistant? Physician assistants share many of the same job duties as doctors. Does this mean they spend as many years in school? Continue reading to find out. It takes about nine years to become a physician assistant. But don’t worry, not all of them are spent in a classroom. Most physician assistant programs require students to have three years’ hands-on work experience in the medical field before they can submit an application. Bachelor’s Degree – This will take you four years to complete, and while it’s said you can graduate with a degree in any major, it’s best to obtain a Bachelor of Science degree. This will not only increase your chances of getting accepted into a physician assistant school, it will allow you to find a healthcare job in nursing, medical assisting, and more so you can meet the work experience prerequisite and apply to physician assistant programs. Most will only accept students who were paid for their work, though there are a few that will accept those who performed hands-on volunteer work or job shadowing in settings such as medical clinics, hospitals, and nursing homes. Master’s Degree – This degree is required in order to work as a physician assistant. When applying to programs make sure they are accredited by the Accreditation Review Commission for the Physician Assistant (ARC-PA). Most offer two-year programs and the curriculum may offer courses such as Microbiology, Physiology, Biochemistry, Ethics, Clinical Medicine, Clinical Decision-making, Behavior, Disease Prevention, and Pulmonary Medicine. While the courses may vary from program to program, they all require students to complete clinical rotations with a minimum of 2,000 total hours. Rotations include primary care, emergency medicine, obstetrics and gynecology, inpatient medical care, and pediatrics. You’ll also need to factor in the time to earn certification and a license. Both are required in all fifty states and the District of Columbia. For certification, you’ll take the Physician Assistant National Certifying Exam (PANCE) that will give you the Physician Assistant-Certified (PA-C) credential. The exam is administered by the National Commission on Certification of Physician Assistants, and continuing education is required every two years and re-certification every ten years in order to stay current. As for a state license, you’ll need to provide college transcripts, the score report from the certification exam, and an application provided that’s provided by the licensing body in your state. It usually takes about four to six weeks to receive a license. Yes, It is considered one of the best jobs in healthcare today, and it’s great for people who would like a lot of patient interaction. Physician assistants earned an average salary of $92,970 in 2013, and the best paying states are: Rhode Island, Nevada, New Hampshire, New Jersey, and Washington. Jobs are found in physicians’ offices, schools, skilled nursing facilities, retail clinics, correctional facilities, and community health centers. As you can see, it does not take as much schooling to become a physician assistant as it does a doctor, yet they share many of the same job duties. If you would like to learn more about becoming a physician assistant, please contact us.